The man, who appears to have been trying to make a desperate mayday call, has been identified as German adventurer manfred Fritz Bajorat. He was found by two fishermen at the weekend in the seas off Surigao del Sur province, about 50 miles off Philippines. 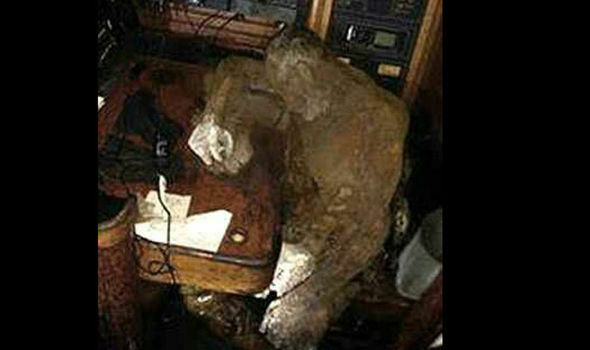 The grey corpse, which was preserved by dry ocean winds, hot temperatures and the salty air, was still sat at a desk near radio equipment on the 40ft yacht called Sayo, which was partially submerged. His decomposing body was found by photographs and a haunting letter to his wife, Claudia, who died from cancer in 2010. It is not year clear when he died, but no one has reported seeing him since 2009. Local officials remain puzzled by the death and have yet to completely rule out foul play as some of his personal items could have been “damaged by force”. Two fishermen spotted the drifting “ghost ship” and climbed on board before finding the body and photo albums, clothes and tins of food strewn all over. Paperwork on board identified him, but the cause of death is unknown. 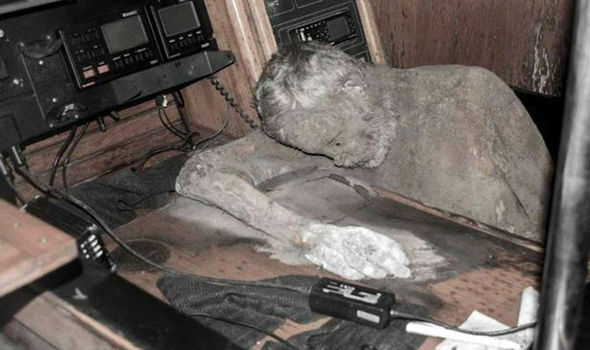 The mast of the boat was broken, but it is not clear if this happened before or after his death. One theory is he could have suffered a heart attack. A year before what appears to have been his last voyage, in 2008, he broke up with his wife who used to venture with him. However, she has since died of cancer so can shed no more light on his movements. Police want to retrace his last journeys and hear from anyone who talked to him last. So far, the last known sighting was in Mallorca in 2009, when he met another sailer called Dieter. This man said: “He was a very experienced sailor. I don’t believe he would have sailed into a storm. Barobo Police spokeswoman Goldie Lou Siega appeared to rule out signs of foul play. The German embassy in Manila is trying to trace family in Germany. 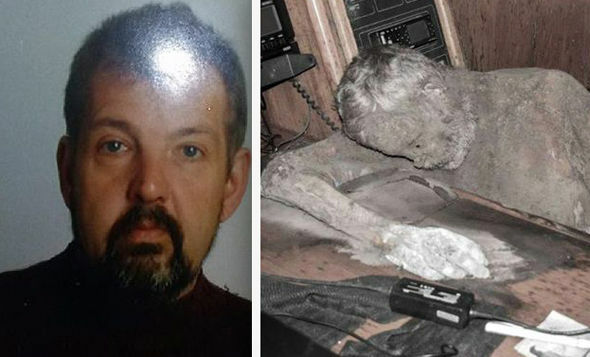 It is believed he has a daughter, Nina, a captain of a freight vessel. An autopsy is taking place in Butuan City. The boat was taken by police inspection at the port of Barobo.